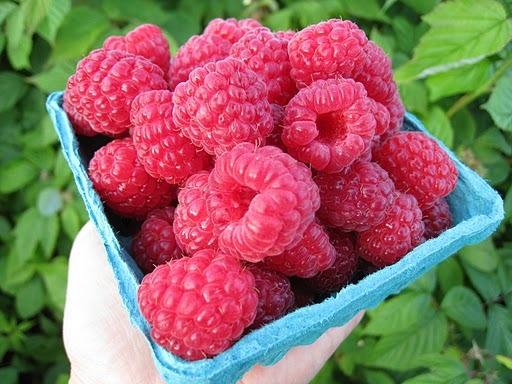 Raspberries from the Pennypack Farm CSA. | Photo from PennypackThere is a thrill that comes with receiving a CSA share. What treasures does it hold? What cooking adventures will it inspire? These small pleasures are not available to everyone – for many families the added cost of a farm share doesn’t fit into the weekly grocery budget. Andy Andrews, farm director at Pennypack Farm, had this realization in 2007, when the farm began setting up at the Clark Park farmers market in West Philadelphia. In 2011, Pennypack started a farm share drop-off specifically accessible to a lower income population. This program offers small shares – five items of produce for $10 per week. This is about 50 percent cheaper than their regular, six-month CSA. Now in its third year, this popular program is subsidized by the Walk Against Hunger, (happening this Saturday, April 13th) which covers half of the cost. Pennypack offers 12 of these memberships, and there are still open spots. The best way to sign up is to stop by and chat with them at the Clark Park farmers market, which runs each Saturday from 10 a.m.-2 p.m. Andrews expects lots of spring, green veggies at the first pick-up, like kale, arugula, radishes, lettuce, turnips and broccoli. Greener Partners is also in their third year of a subsidized CSA program. They offer flexible a $250 subsidy off their regular full and medium shares (full is a six-month season, medium is a 12-week half season). Eligible families may pay with EBT, SNAP, debit and cash, as well as WIC and senior vouchers. Additionally, these members are permitted to pay every two weeks instead of all up front. Pick-ups are at Hillside Farms in Media, Pa. on Mondays and Thursdays from 1-7 p.m.
Greener Partners’ shares are subsidized by regular CSA members who become “super members” by donating extra money and by two annual fundraisers, one in May at Iron Hill Brewery, and the other in June at the Swarthmore Co-op. So far, eight families are committed, so there are still plenty available memberships. (Greener Partners is offering 25 in total.) Sign up through their website, or email Tara Anastasi, the food access program coordinator, at tara.anastasi@greenerpartners.org.